this year again I’ve decided to join the initiative called All Hallow’s Read. The idea? Give someone a scary book for Halloween. 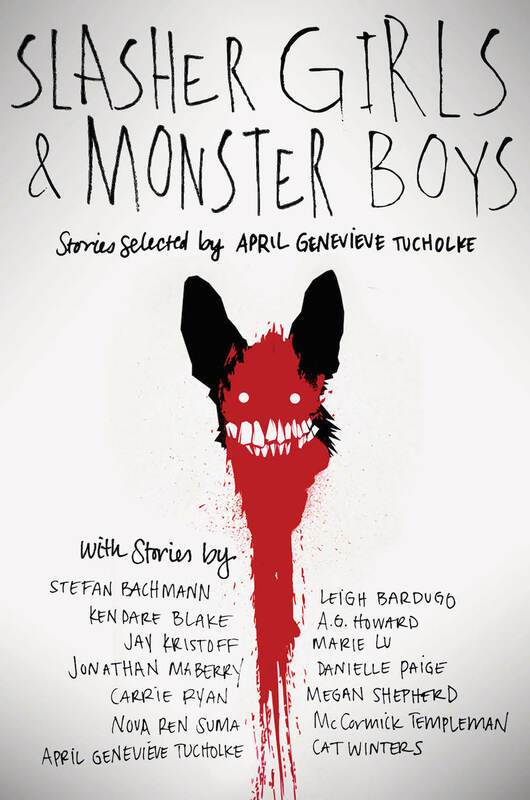 So I’ve chosen to join this initiative by giving away a copy of SLASHER GIRLS AND MONSTER BOYS, a YA anthology curated by April Genevieve Tucholke. Fans of TV’s The Walking Dead, True Blood, and American Horror Story will tear through tales by these talented authors: Stefan Bachmann, Leigh Bardugo, Kendare Blake, A. G. Howard, Jay Kristoff, Marie Lu, Jonathan Maberry, Danielle Paige, Carrie Ryan, Megan Shepherd, Nova Ren Suma, McCormick Templeman, April Genevieve Tucholke, Cat Winters. The giveaway is open until Sunday 2d November 2015 at 9am (BST time). 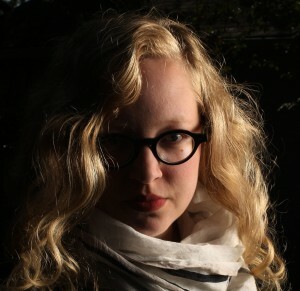 I’m delighted to share with you another interview with a YA author! This week it’s April Tucholke, whose debut BETWEEN THE DEVIL AND THE DEEP BLUE SEA is a great Gothic Mystery/Thriller/Romance. The sequel BETWEEN THE SPARK AND THE BURN is out now! Oh, I thought about it as a kid, but mainly because I was a big reader. I got a degree in creative writing when I was in my early twenties…but I don’t think I ever believed I’d actually finish writing a novel. And yet, here I am. A. Read. Read everything. Every genre, the new books and the classics. B. Give up watching TV for a year. Spend the time writing instead. C. Pick up ten of your least favorite books…and then write down 5 things that each book did very well. This is an enlightening experience. Trust me. Figuring out what’s bad about a book you didn’t like? Easy. Figuring out what’s good about a book you didn’t like? Far more valuable. To write BETWEEN THE DEVIL AND THE DEEP BLUE SEA, where did you get your inspiration from? B. From all the places I’ve lived, and all the gothic books I’ve read. I organized a YA horror anthology that will be published by Penguin in fall, 2015 called Slasher Girls & Monster Boys. I’m also working on a dark, twisting, voice-driven YA mystery that will be published by Penguin in early 2016. Which authors inspire you now? Any books you’d recommend? I’m inspired by the beautiful language in Zane Grey’s westerns. Truly. It—and I never use this word—transports me, into a world without the internet, and cell phones, and car alarms, and blasting music… Zane is marvelous. Laura Ingalls Wilder. I’m the descendent of pioneers, and this is my history. I reread the series every year or so. The writing style is very simple and direct, but the stories aren’t. Laura and her family are often in serious danger, from wolves, from illness, from hunger…and yet the feeling I’m left with after reading is one of…peace. Thanks for the interview, April! 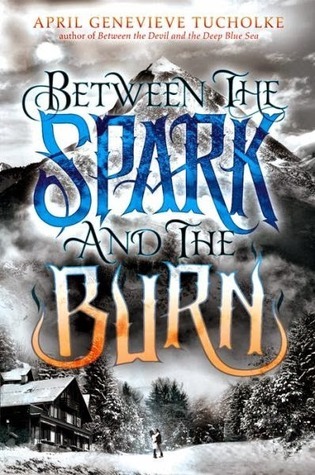 today I’m waiting on BETWEEN THE SPARK AND THE BURN by April Genevieve Tucholke (expected publication: 14th August 2014 by Dial). This will be the second and last book in the Between series. 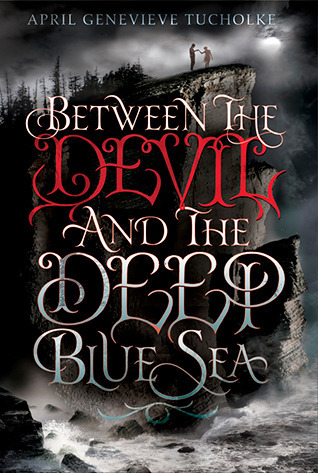 BETWEEN THE DEVIL AND THE DEEP BLUE SEA was April’s debut, a YA Gothic Romance which I think is the perfect summer read! Freddie once told me that the Devil created all the fear in the world. But then, the Devil once told me that it’s easier to forgive someone for scaring you than for making you cry. The problem with River West Redding was that he’d done both to me.